Each week I scour Kickstarter for the most exciting, entertaining, or oddball Kickstarters I can find and list them off here for your convenience! What caught my eye this week? Let’s find out! Jordan Draper creates games based on his experiences in Japan. This tiny slice of life games shine a spotlight on the simpler things like getting a drink from a vending machine or riding the Metro system. His games are showpieces; tiny in stature, but big in delight and now Jordan is Kickstarting 3 new games in the line: Tokyo Coin Laundry (a bunch of small games using laundromat minis), Tokyo Tsukiji Market (an economic fishing game), and Tokyo Game Show (a party game full of mini-games). The campaign also includes a few titles from Japanese designers that Jordan is helping bring to western audiences. You can get Praise (based on the game HOMERO by Peke,where you try to sort out who is giving you genuine compliments), Colorful (based on MATCH ME!, a color matching game by OHTANI Tadashi,), and Cactus (based on TRIBE, a dexterity game designed by Naotaka Shimamoto). 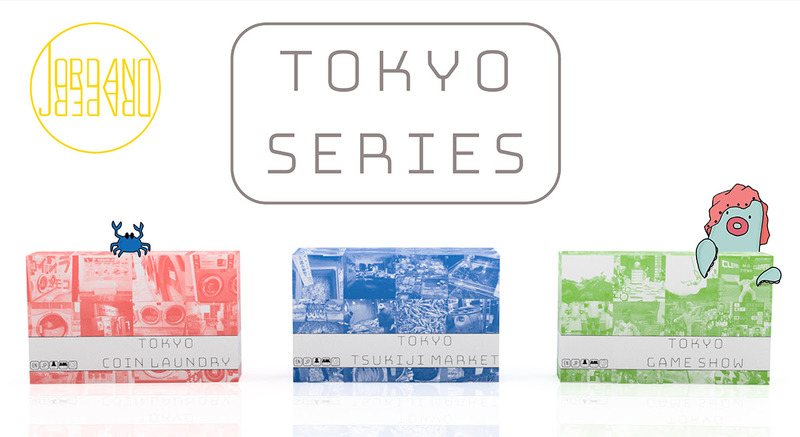 You can learn more about these games on the Tokyo Series 4-6 Kickstarter. 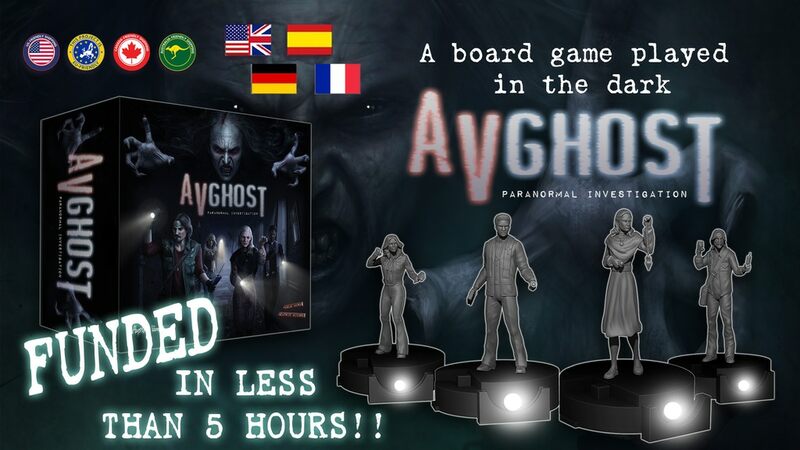 AVGhost has an interesting premise: investigate haunted locations and deal with terrifying ghosts…in the dark. Yep, the game is designed so you can get a full dose of creepy by turning out the lights. The investigators are represented by miniatures with small lights built into their bases. As you explore the locations, you can add filters to your lights to reveal clues and banish ghosts. There’s an accompanying app that helps drive the story that you play out over 6 different investigations. AVGhost loos like a fun twist on a typical dungeon crawler. You can investigate the game on Kickstarter here. Luxor is a game about adventurers exploring a pyramid, grabbing treasure, and trying to find a way into an ancient tomb. The person who makes it into the tom with the most treasure wins. It’s simple and fun, but you might say it was missing something…maybe a little mummy action? Queen games has created The Mummy’s Curse expansion which comes with 4 different modules and allows for a 5th player. 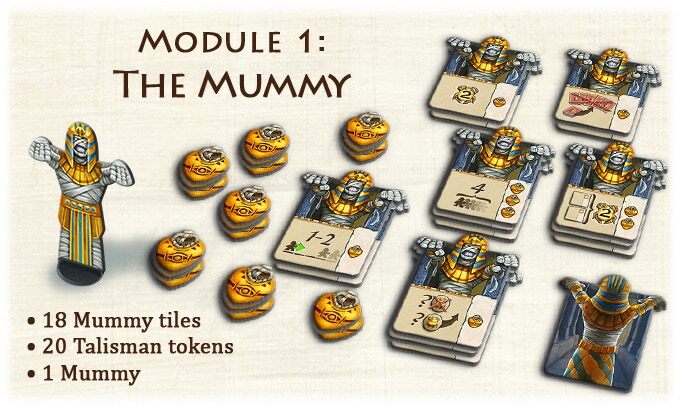 In the modules you’ll get player powers, unique starting hands, new treasures, and of course mummy’s! Seeing as you can mix together the modules as you like, this expansion adds a lot more replayability to the game. 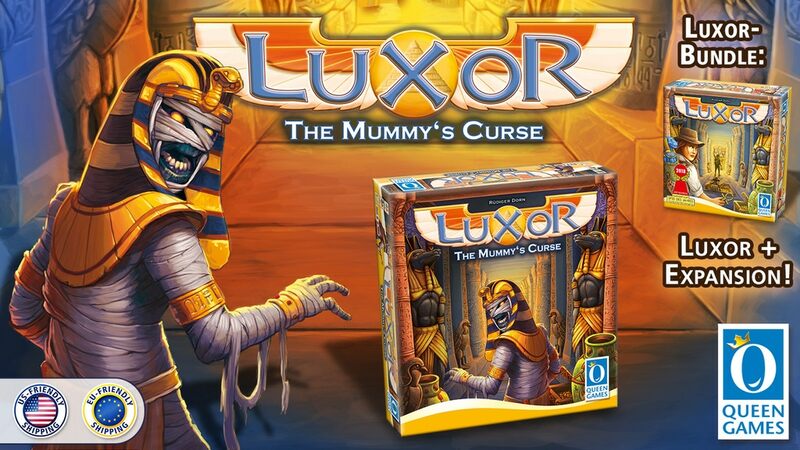 If you don’t already own Luxor, Queen Games is offering bundles as part of the Kickstarter. Check out The Mummy’s Curse expansion on Kickstarter here. Released 3 years ago, Shadow Tactics is a stealth-style video game about ninjas. 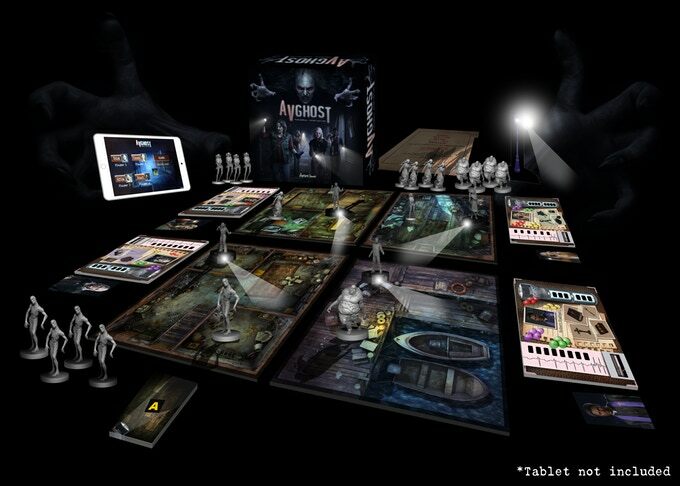 Antler Games created a board game based on the video game, where players face off against the evil Daimyo through programmatic play. Each game will have a mission the ninjas are trying to achieve using their skills. They can use their actions to move, distract guards, or kill enemies. The Daimyo will try to stymie the ninjas by playing order cards that let them manipulate their guards. The ninja players can try to strategize, but since they must speak loud enough for the Daimyo player to hear, they’ll need to practice a bit of subterfuge if they don’t want the Daimyo to know what their up to. This could create situations where players think they are cooperating on something when in fact they are going in opposite directions. 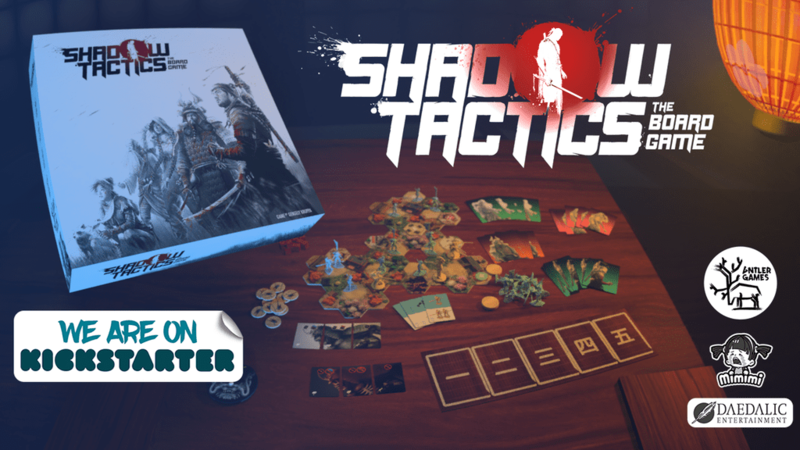 Shadow Tactics the Board Game looks like a cool take on a one-vs-many style strategy game. You can learn more here on Kickstarter. Coral Island is is actually 2 games in one (Coral and Islands). Both games center around the idea that global warming is adversely affecting the environment around Coral Island. It is up to the players to try to restore the reefs and protect them. 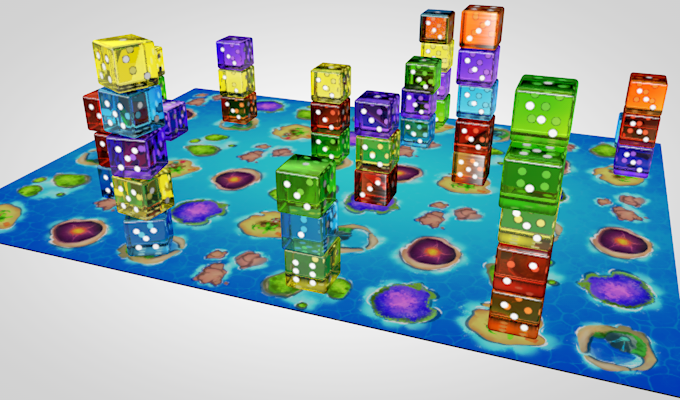 Coral is a dice stacking game where players attempt to form patterns by placing dice on a shared board. Your opponents dice can be counted as part of your structures, so finding ways to utilize other’s plays can score you big points. Islands is a set-collection/ drafting game where players move around islands building up dice stacks and collecting specialization cards. At the end of a game whomever has the most cards of a color, gets the tallest piles topped by that color die and the player with the most dice is the winner. I love games with a verticality to them; building them up as you go. It feels satisfying at the end to see the finished product. With Coral Island you get two of those types of games, so I’m pretty excited for them. 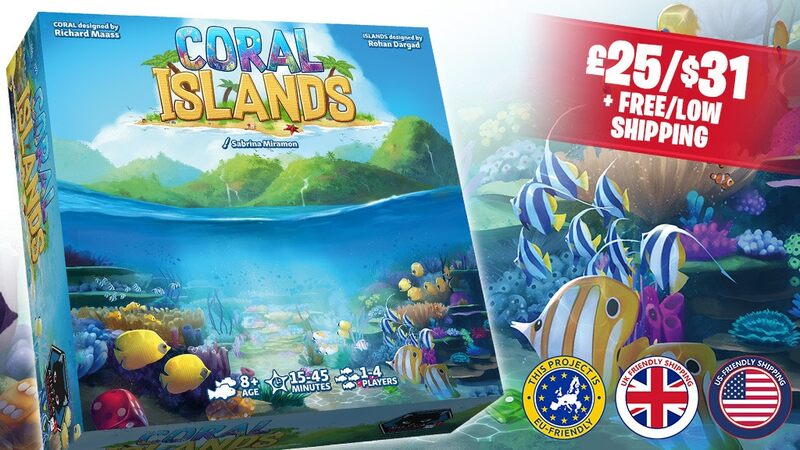 Visit the Coral Islands Kickstarter here for more info. 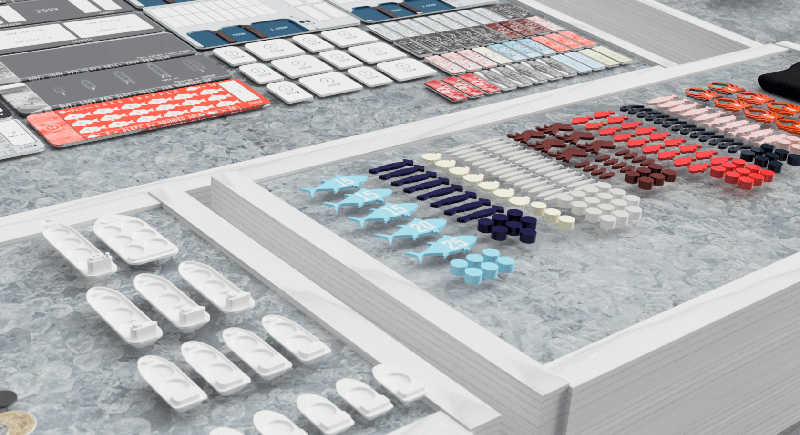 What Kickstarters are you backing this week? Let me know in the comments below and check back next week for more fun projects!